George Shirley at 80: My Time Has Come! Perkinson, Coleridge-Taylor, “O freedom,” The Spirituals Database, accessed April 25, 2019, http://spirituals-database.com/omeka/items/show/8955. 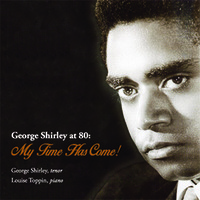 Alternative Title: George Shirley at 80: My Time Has Come!